We have a smorgasbord of recipes for the meal plan this week. 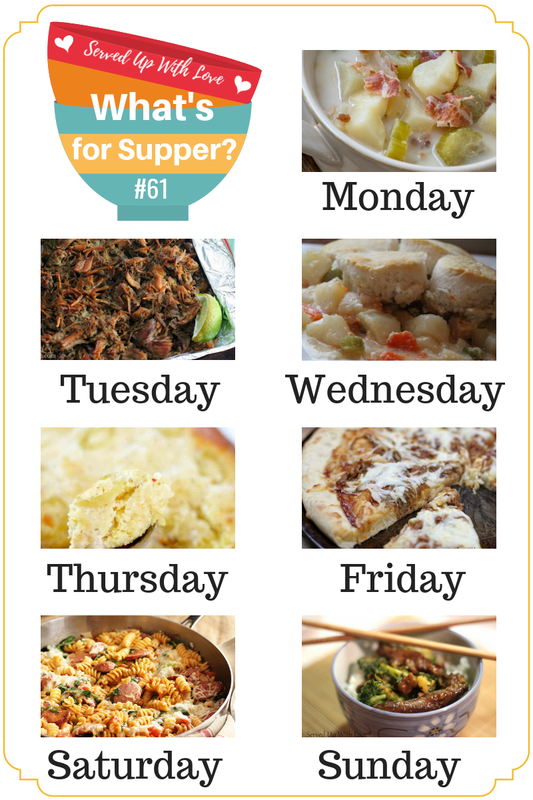 Soups, casseroles, slow cooker, its all here in this meal plan. I like to utilize leftovers whenever I can and the Barbecue Pizza under Fridays plan uses some leftover Crock Pot Pork BBQ I have in the freezer. Its one of our favorite pizzas.